When we visit a facility, public building, park or even someone’s home, we can have a reasonable expectation that we will not be injured. Property owners and administrators have a responsibility of maintaining a safe environment for visitors and clients. If there is a dangerous aspect to the property, owners are obligated to warn visitors about the danger. In Ontario, the Occupiers’ Liability Act R.S.O. 1990 governs an occupier’s duty of care to ensure that persons are reasonably safe while on the premises. The Act defines premises as lands and structures, which also include: water, ships and vessels, portable residences such as trailers, and even trains, buses and planes while not in motion. The duty of care does not normally apply to risks willingly assumed by a visitor or to those committing criminal activity on the premises. The most common type of personal injury that occurs in Halton Hills or anywhere in Ontario resulting in premises liability actions is a slip, trip and fall. There are many circumstances that may result in a slip, trip and fall, and uneven walking surfaces and icy surfaces are among the most common causes. Falling objects, improper lighting and defective stairs may also result in accidents and personal injury, associated with premises liability. Some properties and venues inherently have a certain amount of risk to a visitor. In particular, any property containing a body of water such as a pool or pond, is associated with a risk of drowning or slipping on water that was splashed onto the surrounding surface. Pool owners, whether private or public, have a reasonable responsibility regarding safety, especially for young children who may be unaware of risks even if they are able to swim. Many residents of the Georgetown, Brampton and Halton Hills communities remember a 2015 incident that received significant local news coverage. A one year old boy stepped onto a metal plate at a Georgetown splash pad in Halton Hills, and suffered second degree burns as a result. While on a playdate with his family, the young boy wandered away and stepped onto a metal plate that covers the venue’s control centre. While the plate did not generate heat on its own, exposure to the sun on that very hot summer day made it scorching. As a result, mere moments after touching the plate, the boy was screaming and crying in pain. His mother rushed him to the hospital where he was later transferred to the Hospital for Sick Children in Toronto. The family is now planning a lawsuit against the venue for their negligence. The venue, in its defense, claims that in their 15 years of existence, an incident like this one has never occurred. The family’s attorney however does not believe that matters and stressed in a statement that the venue, like any public facility, had an obligation to ensure the safety of all their customers and they failed to do this in this instance. Currently, the young boy is able to walk again but his injuries still haven’t fully healed. While public water venues offer valuable recreational opportunities in the community, the following dangers are of particular concern. Drowning – While water venues with pools are typically required to have lifeguards on duty, the danger of drowning is always a very real risk. Sometimes pools become overcrowded and the lifeguards on duty cannot properly see everyone. Also, sometimes it takes a while before others recognize that someone is in danger of drowning, especially if they are not frantically thrashing around. Water-Borne Illnesses – While all venues with pools are required to consistently clean the pools by applying chemicals to kill any bacteria and lingering germs, the reality is that these chemicals do not always kill everything, at least not immediately. Some germs can linger for a while and individuals swimming in the water unaware, can fall victim to them. The simple fact is using a pool that many other individuals use always poses a potential threat of catching something. Slip and Falls – Many of these water type venues have rides and slides for the amusement and enjoyment of individuals. And while these can be a lot of fun, there is also a very high risk of getting hurt, particularly because water is present. Because this means the rides and slides are all very slippery and one wrong step or move can result in a collision or fall off a ride that can result in mild to severe injuries. Just as is the case with any property, the owners of water parks and indeed, any recreational facility have an obligation to minimize risks as much as possible for their customers. The same obligation for reasonable care applies to municipal and government run activities as does private venues. If you or a loved one were a victim of an accident that may have been the result of negligence in the maintenance of a property, an attorney at Injury Lawyers of Ontario (ILO) can advise you of your rights in making a claim for compensation. 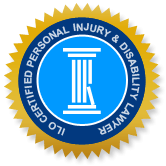 The ILO law team also helps accident victims of slip and falls, motor vehicle collisions, spinal and brain injury, or any accidents resulting from the negligence of another party. Call our local ILO number or visit us for a free consultation, where you will be given an honest assessment of your best legal options.